An auto accident can, unfortunately, happen at any time, no matter how good a driver you are. Across the nation, about 37,000 people die in car collisions each year. In addition to fatalities which result from car accidents, another 2.35 million Americans are injured or disabled from car collisions. Drivers between the ages of 16 and 20 have a particularly high risk of dying in a car accident, with nearly 8,000 new drivers and young adults suffering fatal injuries from car crashes every year. Although the primary cause of automobile accidents is driver error, there are a significant number of car crashes which are the direct result of a defect in the actual vehicle. As an example, in 2015, Toyota announced it would be recalling 6.5 million cars and Mazda announced they would recall 4.9 million cars. In fact, the number of auto manufacturer recalls has risen steadily over the past two decades, with the first three quarters of 2015, seeing 141 separate auto recalls, covering more than 34 million vehicles. 2014 marked a record year for auto recalls, with more than 74 million autos (more than a quarter of all vehicles registered in the United States) recalled, and 902 separate recalls. General Motors can take a large amount of the credit for the auto recall spike in 2014—in early 2014, GM issued a “routine” recall of 800,000 Chevy Cobalt vehicles due to a defective ignition switch. The recall “snowballed,” and when it was all said and done, more than 2.6 million GM vehicles were found to have defective ignition switches. One distressing aspect of this particular recall is that engineers and high-ranking GM officials admitted they knew of the ignition switch defect for more than ten years. Perhaps even worse, federal regulators in the auto industry admitted they had access to the data provided by GM, but never analyzed that data. The increasing number of auto recalls has put many Americans in a panic, since the majority of recalls are for older models. This means that those who purchased used cars are realizing they may have saddled themselves with a dangerous vehicle, or one which could be responsible for causing a car accident. Most of us who buy a used car look long and hard for the best bargain, on the newest car. The current state of our economy dictates that for many, purchasing a brand-new car is simply not economically feasible. 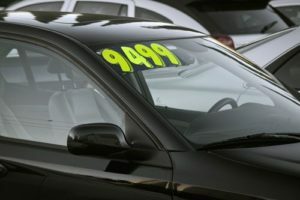 Although there is nothing inherently wrong with buying a used car, it is important to remember the car you choose was driven by someone else. Always check the car’s body carefully, looking underneath the car as well as on the exterior. You want to look for any type of bent framework which can indicate the car has been in an accident. Either run a Carfax report on your home computer or smartphone or ask the dealer whether he has a Carfax report for the car you are considering. Carfax reports include any prior accidents the car has been involved in, as well as whether the car was routinely maintained, and whether there have been any recalls related to the vehicle. Check all windows and mirrors for any damage and check the car’s tires carefully for excessive or unusual wear and tear. A new set of tires can cost you upwards from $400—or can cause you to have a serious accident—so the condition of the tires is particularly important. Check the car’s suspension, or have it checked by a professional. In fact, the best thing you can do is to have a trusted mechanic check the used car out thoroughly before you purchase it. And remember—if you are involved in a car accident as a direct result of a safety defect on your car, you may be able to file a claim against the manufacturer. 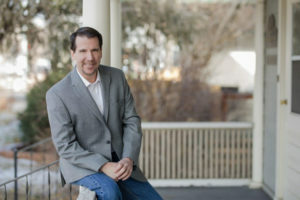 It is important that you know your rights and do your research prior to purchasing a used car, but if you are involved in a car accident, it is equally important that you have an experienced, knowledgeable Colorado Springs personal injury attorney by your side to ensure your rights are protected. When an accident derails your life, it is important to know that you have legal options. Contact the experienced Colorado Springs car accident attorneys at the Green Law Firm today to schedule a no-obligation consultation and discuss your case. Call us today at 1-719-694-8515.